Rarely do people think about the miniscule organisms covering every surface and how they impact nature or the human body. 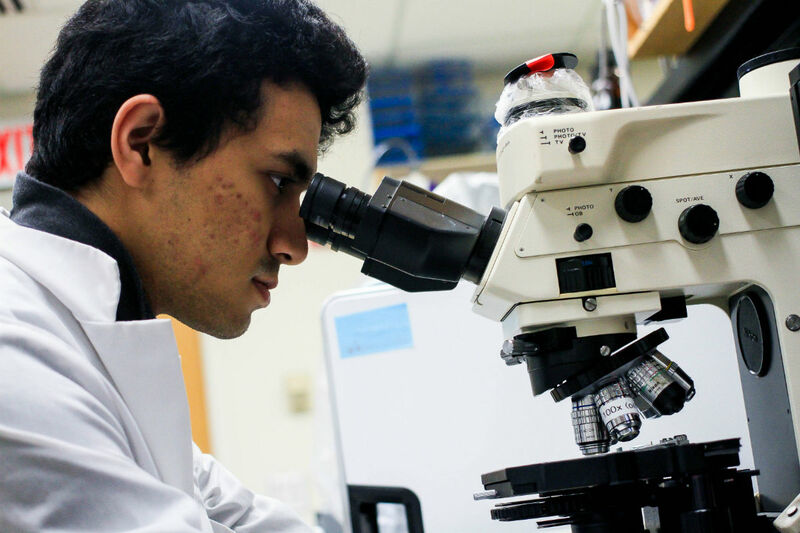 But Pranav Rana, 21, a junior microbiology major in the University of Idaho’s College of Science, enjoys studying these microscopic organisms that most people forget even exist. 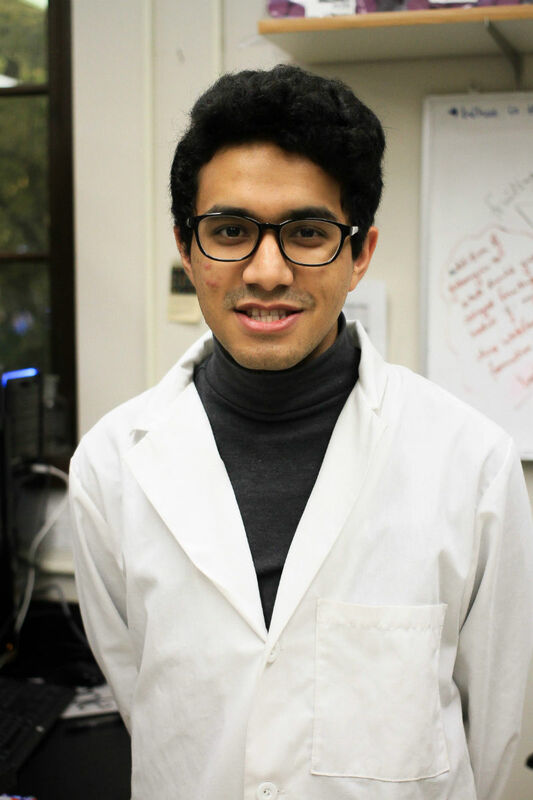 During high school science in his home country of Nepal, Rana discovered his passion for microbiology. He was working on a simple project about microbes. Rana is currently studying how iron and an antibiotic, myxocerescin, help the bacteria species Mysoxoccus xanthus cope with changes in its environment, also known as phase variation. Depending on the M. xanthus bacterium’s environment, it will either be in one of two phases, which can be visually tracked by their color, yellow or tan. An example Rana gives is how an octopus changes color without any mutation when it is threatened in its environment. Rana is studying how the antibiotic and iron allow the bacterium to vary phases. The role of this particular antibiotic in phase variation is not completely understood. He expects to learn more about the presence or absence of the antibiotic and later the dynamics of the antibiotic with iron, he said. Rana works with Patricia Hartzell, a professor in the Department of Biological Sciences. During a different project, they noticed a possible connection between the antibiotic and phase variation. This led to Rana’s current focus. Microbiology student Pranav Rana studies antibiotic and iron regulation in Myxococcus xanthus. Rana received an OUR SURF Grant. Learn more. The research he is performing makes up a small part of a large web, he said. The research is in the beginning phase, and will likely last until May 2017. Rana plans to present his findings in the Undergraduate Research Symposium and the Department of Biological Sciences Research Symposium, which will take place in April and May 2017. Partaking in research has given Rana a better understanding of occurrences in the world, he said. Not only has Rana enjoyed studying microorganisms at UI, he also enjoys what Moscow has to offer. Growing up in Nepal’s capital, Katmandu, he was constantly surrounded by the hustle and bustle of the crowded city. He arrived in Moscow in 2014 and has since enjoyed the calm and quiet the town offers, he said. “I’ve grown as an individual here on my own,” he said. In the future, Rana said he wants to understand how pathogens’ genetics “are in favor or against us.” The research he is doing now will help him understand how some pathogens exhibit phase variation, he said. Along with his research, Rana also works as a learning assistant in an undergraduate biology lab with Hartzell and undergraduate science education designer Martina Ederer. The lab includes students from many majors. Not only does he answer questions and set up lab equipment, but he gets to share the passion he has for science with other students. Pranav Rana generates a sample of Myxococcus xanthus in a UI biology laboratory. WRITER: Emily Lowe, a senior from Kuna, Idaho, is majoring in journalism.